I should not be allowed to go the Home Depot unsupervised. It’s far too easy to spend a couple hundred bucks, every time I go. Shop vac, miter saw, a bunch of lumber, accessories… it adds up! 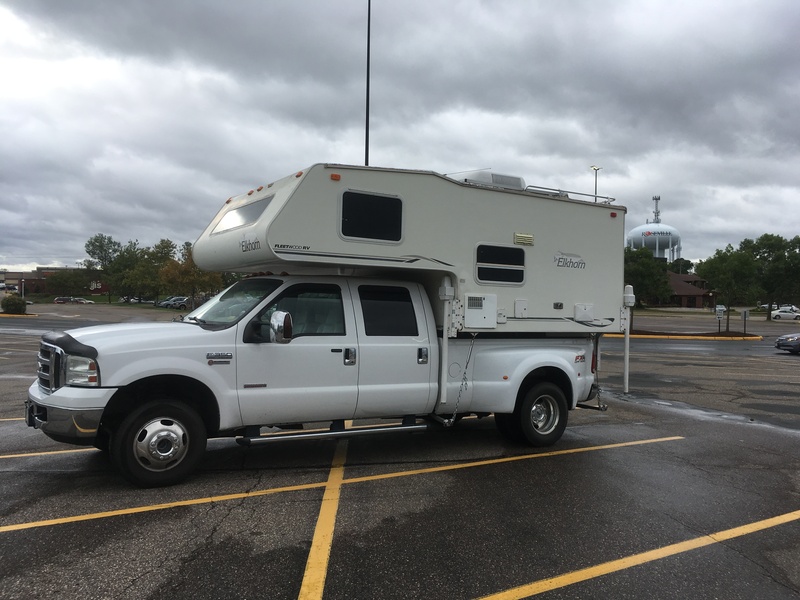 One of the first steps in building out the RV isn’t actually on the trailer itself. It’s in the garage/shop. I need a workbench, some place to store tools, use tools, and have a general workspace. So, like any do-it-yourselfer, I’m building one. I picked up a workbench kit while in MN which is quite helpful. It has some brackets that let me easily join a couple of 2×4’s together and makes the basic structure. 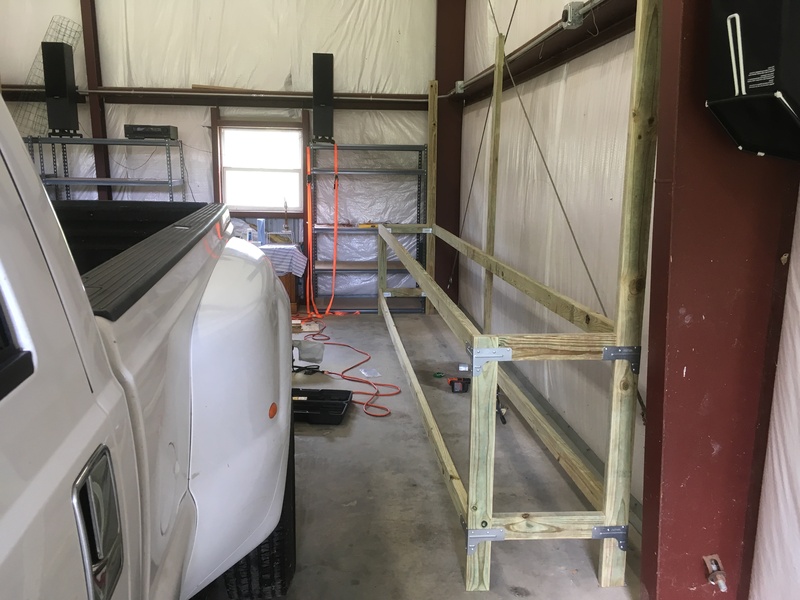 The kit suggests building a workbench that is about 2′ wide by 4′ long, but you can change those dimensions based on your own needs. Given I’m working on a large project, I designed a correspondingly-sized desk. Sometimes it’s really handy to have a truck. 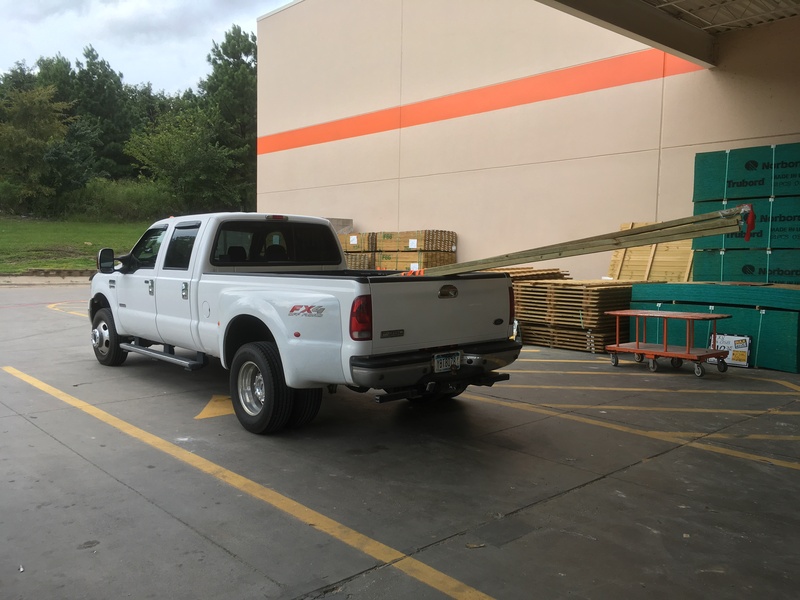 When transporting 16′ sections of lumber, I couldn’t imagine doing it in anything less than a pickup with a full bed. If the trailer wasn’t in the garage, it would have easily swallowed up those pieces, but this worked to get it home. This morning I built the workbench frame. It’s essentially a 2′ x 16′ platform plus an equally-sized shelf beneath, and pegboard (not yet installed) above. Tomorrow if I get time, I’ll install the extra supports (extra structural supports will be added every 4′) and the plywood and then it’ll actually look like a proper workbench. 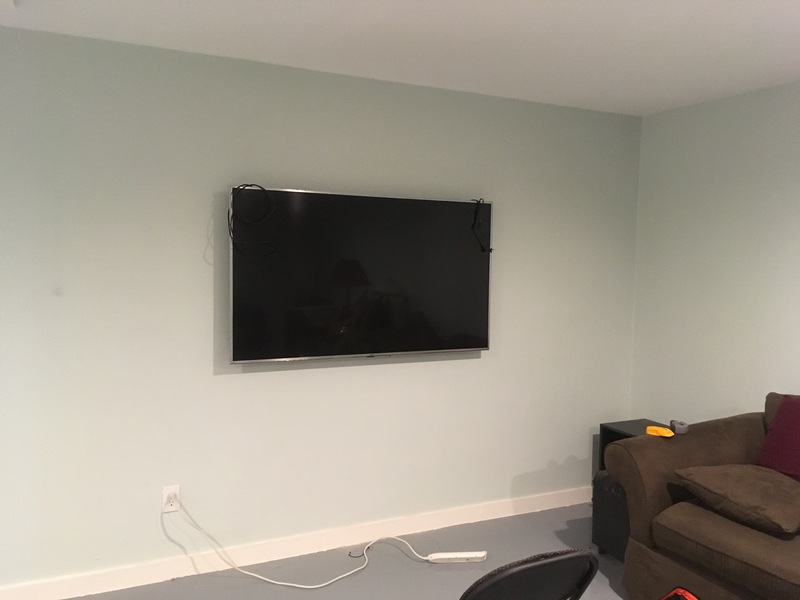 Other than the workbench, I’ve been busy with regular computer work and installing a wall-mounted TV for my dad. The wall-mount wasn’t too bad, running the cable was a bit more difficult. The attic is 20-30° warmer than the outside temperature, and when it’s in the low 90’s outside, well, you can do the math there. Oh, and the wall we installed it on used to be a garage wall, so it has insulation in it, just to make cable-fishing more fun. But it’s working perfectly now, so I’m glad to be done with the attic work. This week will likely be spent doing computer work and finishing out the workbench. I’m planning on adding some smaller shelves as well as hooks for extension cords and hoses, along with stringing it up with electricity and potentially compressed air. If all of that gets done, then I get to move on to the teardown of the trailer’s current interior walls and start insulation install. Thanks, it’s a good point that every 4 feet might get in the way when pulling items. Yes, I’m planning on adding a vice, and perhaps a grinder too. Is the bench /pegboard going to be attached to the building? What is that wall made of? Looks like plastic sheeting but hard to tell. I would leave some floor space open to put a pegboard floor to ceiling for hanging smaller stuff without having to reach over the workbench to grab it. None of these items are attached to the building. They can be moved if needed. The white part of the shop wall is the back side of some insulation, it’s flexible. The shop is made out of large red-iron pieces (frame) plus the exterior sheet metal, and some insulation along the inside of the sheet metal. The bench is only 2′ deep, which allows easy access to the pegboard. I’ll also have 32 square feet of pegboard, which should be plenty for now. There’s also ample space in the garage for additional pegboard if/when it should become required.